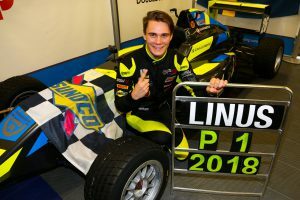 Linus Lundqvist has won the 2019 Sunoco Whelen Challenge after wrapping up this year’s BRDC British F3 Championship drivers’ title at Silverstone yesterday (October 14). 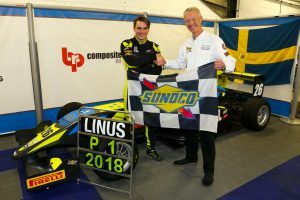 The Swede will now make his sportscar racing debut at the legendary Daytona International Speedway this January courtesy of a fully-funded Rolex 24 At Daytona entry supported by Whelen Engineering Inc and Anglo American Oil Company Ltd.
Lundqvist’s victory came at the expense of 2015 prize winner Phil Keen who headed into the weekend just 0.1 point ahead in the standings following another standout British GT campaign. 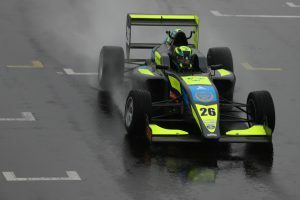 However, his young rival’s perfect first British F3 race at Silverstone, which comprised the maximum 140 points available for pole position, victory and fastest racing lap, was more than enough to initially jump ahead. 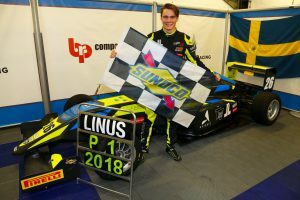 Pole for the championship’s second Sunoco Challenge-eligible race then ensured only 15 more points were required to seal the crown. But when adverse weather forced organisers to cancel it, the recalculated average scores gave Lundqvist the edge. 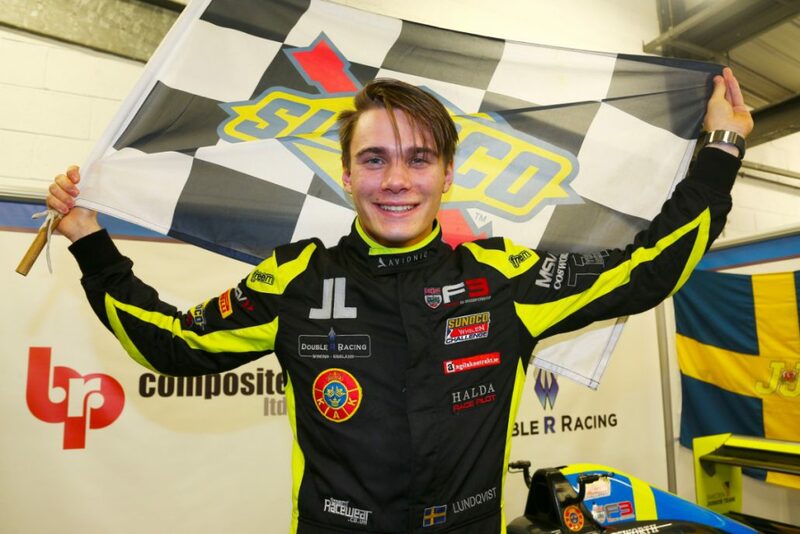 Indeed, Lundqvist finishes the season on 89.67 points, 3.5 points more than Keen and 12.67 points ahead of the 2016 Sunoco Whelen Challenge winner and the newly crowned 2018 British GT Champion Jonny Adam. 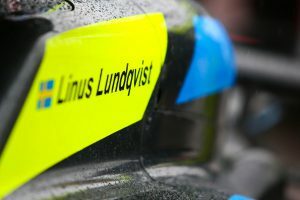 Incredibly, Lundqvist’s success was confirmed less than 24 hours after British F3’s last senior Sunoco Whelen Challenge winner, Felipe Nasr, wrapped up 2018’s IMSA WeatherTech SportsCar Championship crown with the same Whelen-sponsored Action Express Racing squad he tested with prior to his 2013 Daytona prize drive with Mike Shank Racing. 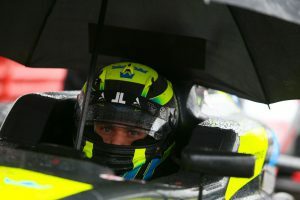 Lundqvist is joined in Daytona by 2018 Mini Challenge Cooper class champion Kyle Reid who will contest the four-hour IMSA Michelin Pilot Tire SportsCar Challenge support race as his prize for winning this year’s Sunoco 240 Challenge.